Based in the beautiful city of Bath we are a growing community of runners who range from beginners to marathon veterans, and everything in between! 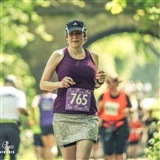 Hannah the Runner began in 2016 when I gained my UK Athletics CiRF qualification and began offering running coaching for groups and individuals. I believe that running is for everyone. No matter your gender, age, fitness level or ambitions I want to help you achieve your running goals. 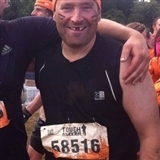 I work with a fantastic team of Run Leaders to offer daytime, evening and weekend courses and groups for beginners, improvers and returning runners, and half-marathon/race training for athletes working towards a specific goal (particularly the Bath Half Marathon). Tuesday 30 April 7.30pm in Larkhall. There are 6K Social Runs on Wednesdays at 9.15am and 6.30pm in Victoria Park. 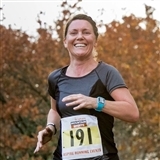 Sunday Trail Running starts 7 April. Long Social Runs on Wednesday evenings start 29 May. 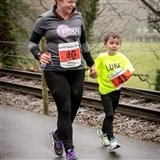 10K Improvers – whether you've run 10K once or dozens of times, our 10K Improvers courses will increase your pace, stamina and confidence – starting Tuesday 19 March 9.30am in Combe Down or Wednesday 20 March 7pm in Victoria Park. Please take a look at Our Runs for all the details of what we offer. I also work 1-2-1 with athletes wanting bespoke training at a time to suit them, and I can create personalised training plans if you are training for a specific event.